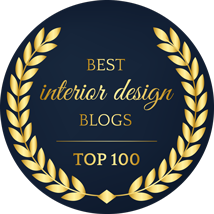 Discover the Designer in YOU! 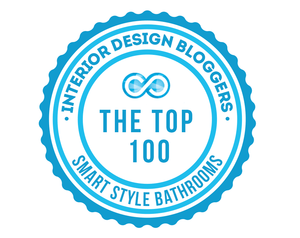 Do you collect Interior Design Magazines and wonder how you can make your home that beautiful? Are you passionate about colours, but lack the knowledge or confidence to use it? Do you wish you could be clever about how you use the space you live in? This must-have book is packed with inspiration, helping you find your own style regardless of budget. 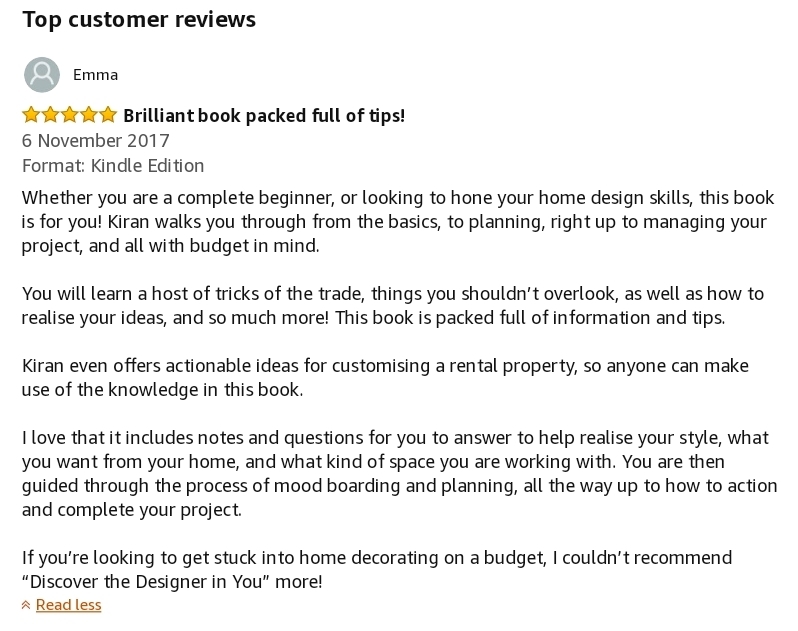 Award-winning designer Kiran Singh helps you turn all those Pinterest pins, magazine cut outs and ideas flying around in your head into a home that not only cater for your needs but also reflects your personality and the most important, gives you the knowledge and confidence to do it all yourself! Divided into 7 chapters Kiran draws on six key design rules: space, light, colour, texture, harmony and personality. Kiran takes the reader on a journey of self-discovery questioning how, what, why and when you would use each room guiding the reader into decisive action. Priced at £4.99 the book has 112 pages packed with tips on de-cluttering, lighting, storage, colour and so much more for every room of the house. Kiran shows you how to welcome the use of colour in your home adapting it to your personality. She also 1 gives tips on injecting your own personality into your home by including art and ornaments from your travels, favourite places and children’s art. Packed with elegant images of must-have home décor, practical expert tips this book is a must-have for getting you off the sofa leafing through those interior decorating magazines and putting your ideas to work. Get your copy (pdf) for only £4.99!